Ah-Lan has been teaching Chinese dance in Albany and El Cerrito for 15 years. She began teaching dance at local Chinese schools to share her unique training from her youth in China. Classes and performances offered by Ah-Lan Dance have been very popular and have increased in number each year. Ah-Lan Dance’s students and performers now range from pre-K tots to adults, and include all ages in-between. Ah-Lan’s vision – of teaching professional level dance to her students – has brought her to build her own studio. In the new studio, Ah-Lan Dance is offering two types of classes: Chinese Performance Division classes and Drop-In Fitness & Dance classes. 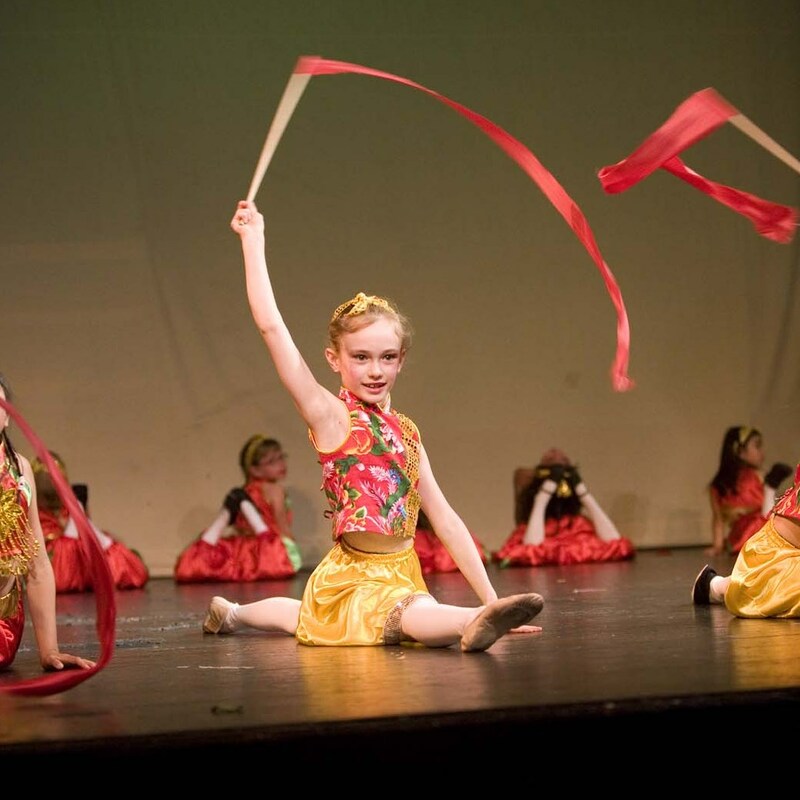 Our performance division includes all our traditional classes in Chinese Dance, Ballet and Wugong—which work together to create the well-rounded dancer. 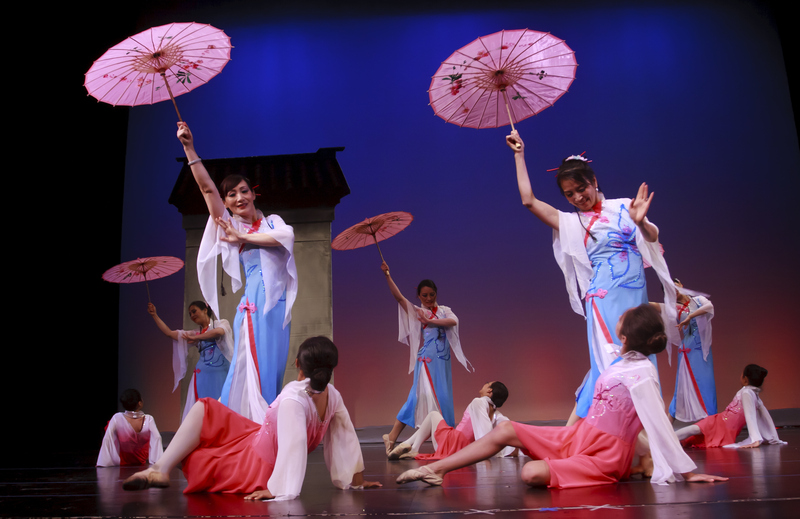 Students learn classical Chinese dance and Chinese folk dance, one dance at a time. Each year the classes learn a new dance to perform at our annual gala and at festivals and performances throughout the year. Past dances have included: ribbon dance, fan dance, sword dance, Tibetan dance, Mongolian dance, Uighur dance, Dai dance, and Korean dance. – Enjoy looking at beautiful pictures and video of past performances. Basic training is necessary for beautiful dancing and is great conditioning of the body and mind. Students learn both Wugong (Chinese acrobatics) and classical ballet. Together they form the foundation of Chinese dance and other dance styles. We are excited to announce that we are expanding class offerings to include a wide variety of fitness and dance classes from many cultures around the world. 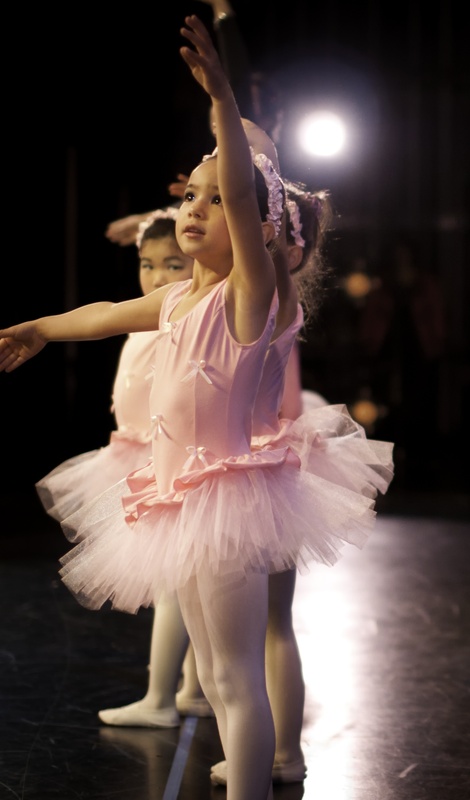 New classes, which child and adult students can take as they wish, include: Classical Ballet, Modern Dance, Zumba, Yoga, Hula Hoop, Ballroom and more. See the Schedule Online. challenging situations their whole lives. Ah-Lan Dance seeks to have our students become physically and spiritually healthy, and to take part in community service activities, which can communicate a variety of cultural riches to our community. Our adult dancers, many of whom started dancing after watching their children take class and perform onstage, are able to stay physically fit and mentally sharp through dance in a supportive and friendly community. Many have been able to fulfill secret dreams they have harbored of performing on stage! Don’t just take it from us, see Ah-Lan dance from the view of a parent of one of our dancers- Wendy F.